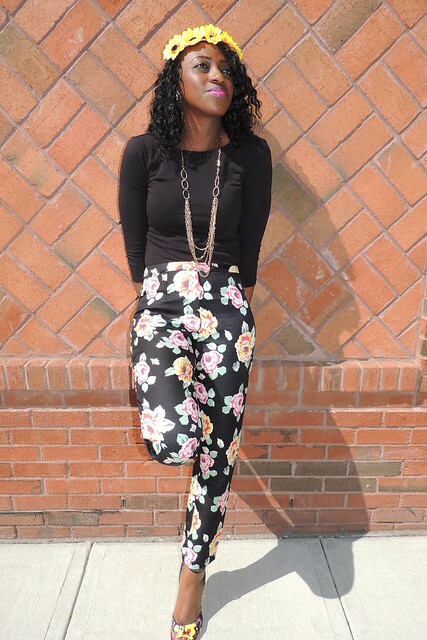 Ending the week on the blog with some flower power. 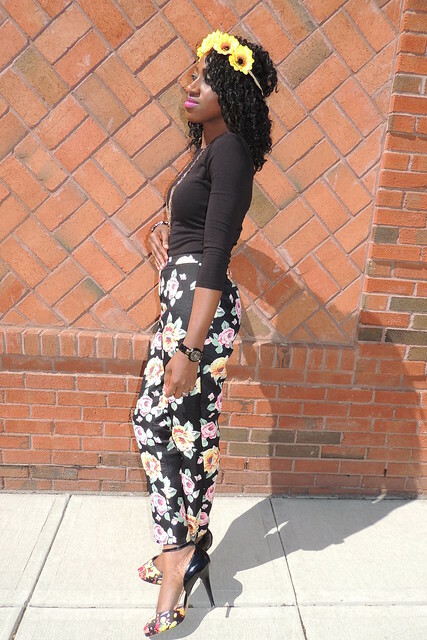 Feeling all kind of spring-ish and flowery in this outfit. There is so much flower-party going on with the pants, I thought why not add the flower crown. Something new for me, as am not one to gravitate towards flower crown and things of such. I love them on people but not necessarily on myself. After this attempt though, not so opposed to the idea anymore.